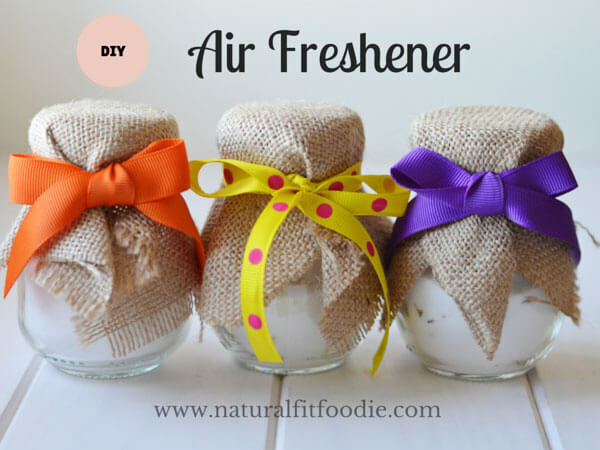 DIY Air Fresheners - Natural Air Fresheners for your home and car! 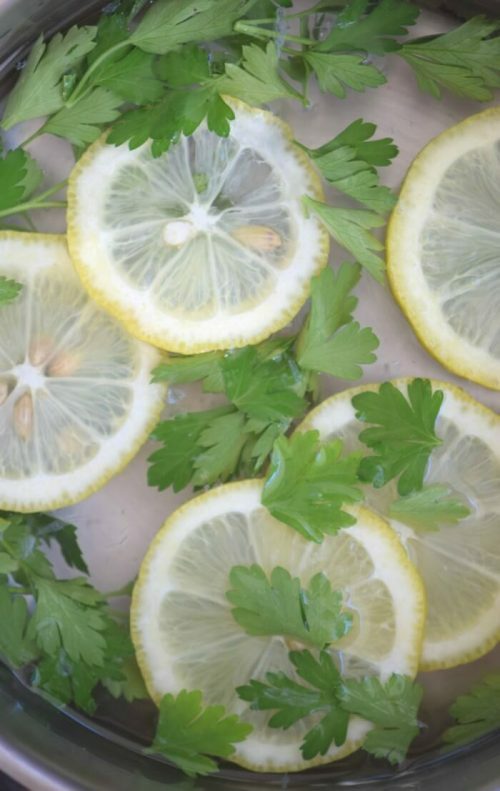 If you are looking for easy ways to make your home and car smell amazing, try one of these DIY Air Fresheners. 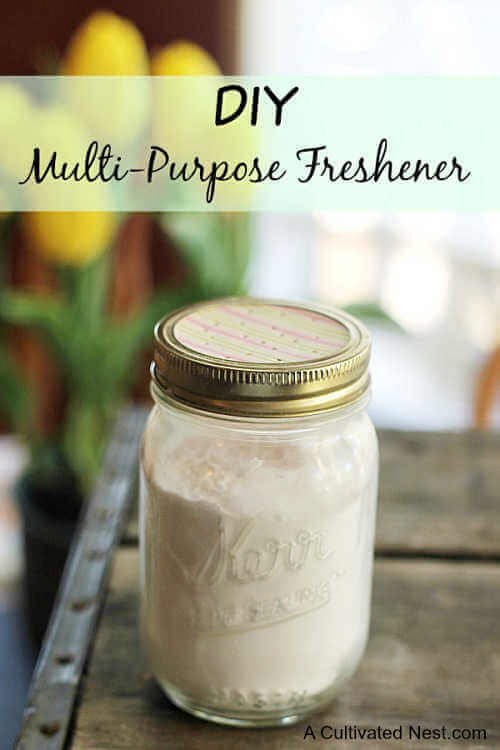 These ideas are all natural, frugal and sure to leave everything smelling fresh without chemicals. 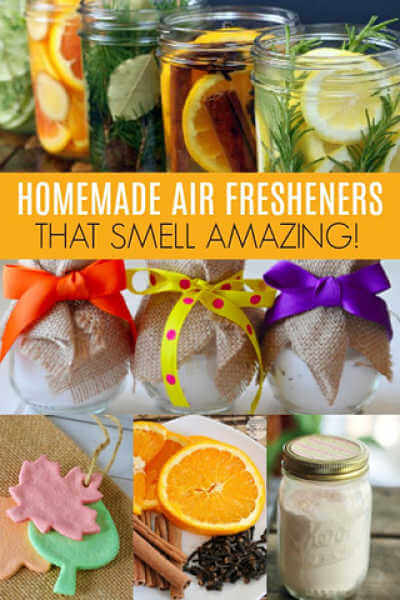 It can be a challenge to keep your house smelling fresh with kids and their sports equipment and shoes and all that goes along with children 🙂 Try these natural air fresheners to spruce up your house and keep things smelling great. 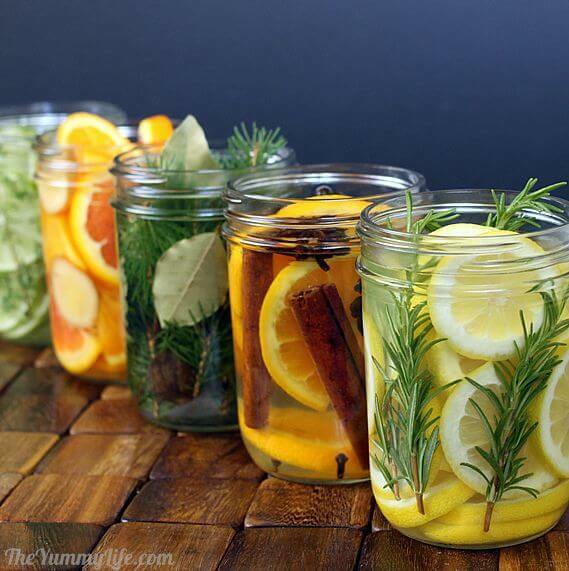 These DIY air fresheners are perfect for your home, car and more! With a house full of kids, I’m always looking for ways to freshen the house. Air fresheners can get expensive if you frequently have to purchase them at the store. 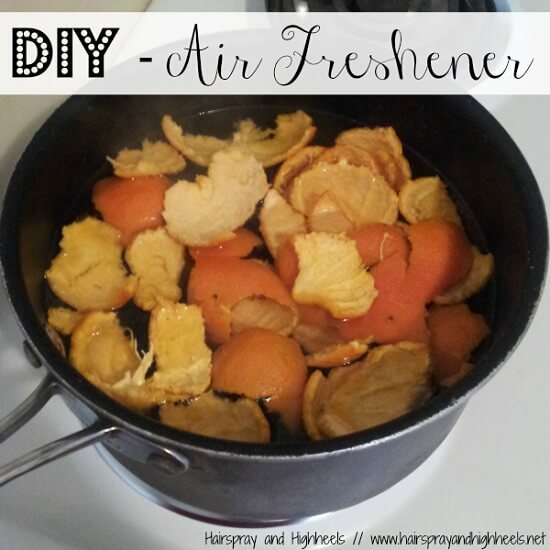 Take a look at these DIY air fresheners to save time and money. 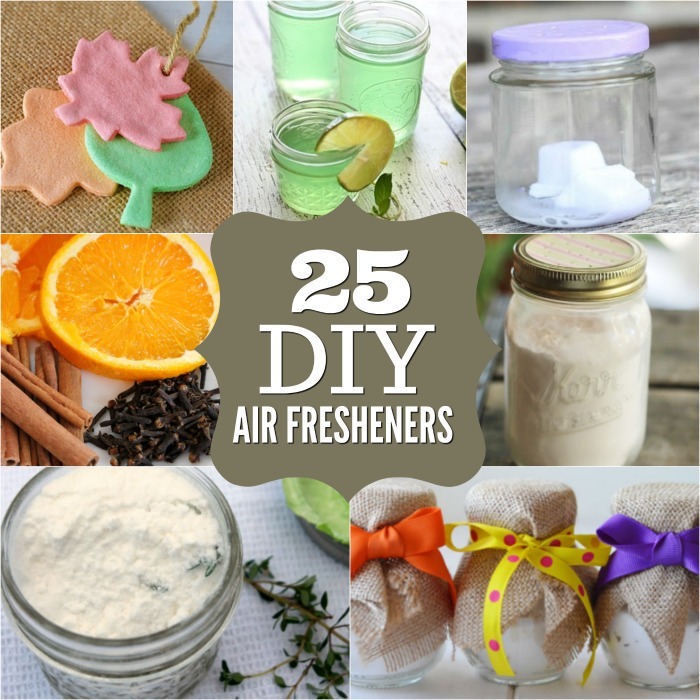 We have 25 different options for natural air fresheners for your home and DIY air freshener for car ideas. Yummy! These air fresheners smell so good you might want one in every room. 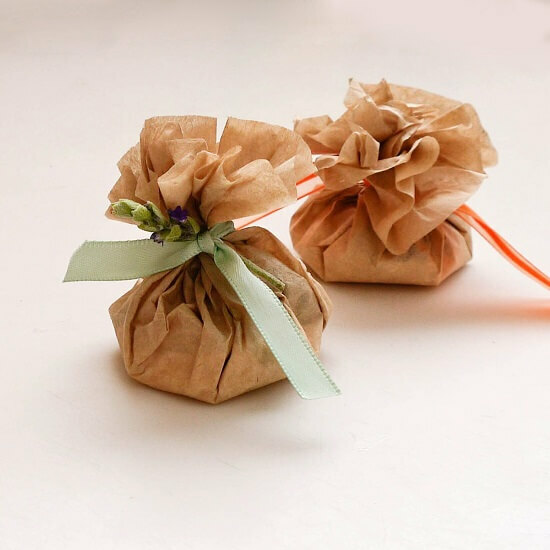 Baking soda is the secret ingredient in these handy little air fresheners. The small mason jars make these portable which I love. If you love essential oils as much as I do, these diffusers are the perfect way to keep things fresh. Plus, you likely will already have some of these oils on hand. 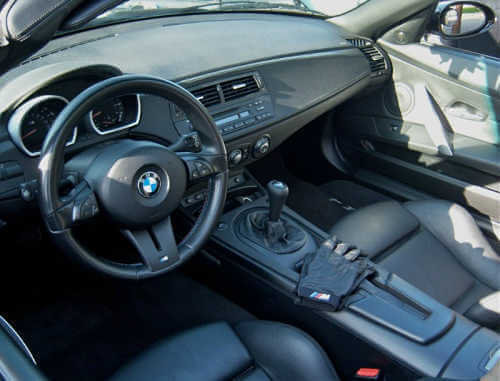 Sports equipment, shoes and more strewn in the car can make for a less than pleasant commute. 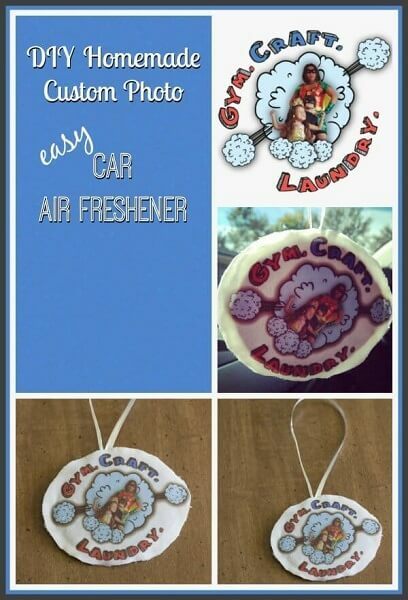 Make these customized car air fresheners to eliminate odors. 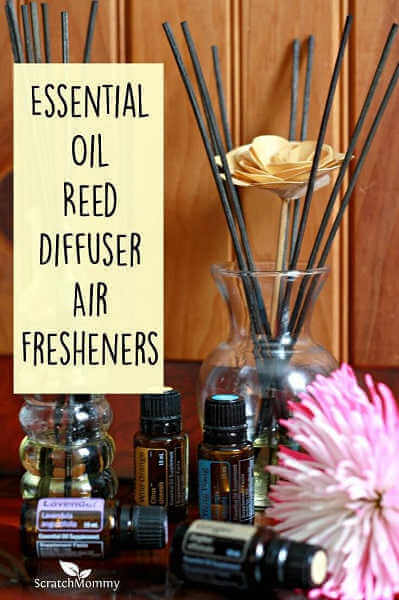 Here is another great idea using essential oils to freshen up your house. The entire house will smell wonderful plus I love using essential oils for natural air fresheners. I love lemon and this is a perfect one to use in the kitchen. It is perfect for helping with odors in the kitchen while cooking. 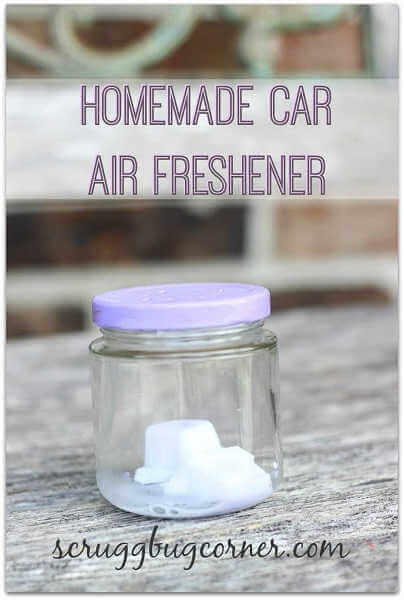 Simple and easy and your car will be smelling great! No more mysterious smells in the car with this handy DIY. These are portable and perfect for small spaces! I may need these everywhere 🙂 From cabinets to lockers, these are ideal for places you need something small. These remind me of the store bought gel air fresheners but for much less! I bet they smell better too. f you need your house to smell good in a jiffy, try this one. These are so pretty and will freshen your car instantly. You can also hang them in gym lockers or other small spaces. Simmer this on the stove to eliminate kitchen odors. This seems like a good one if you are cutting onions or cooking fish and other “smelly” foods. 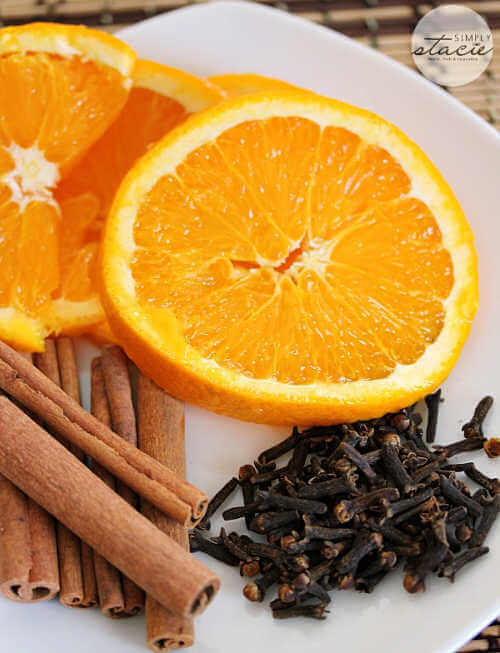 Oranges, cinnamon and cloves combine for a delicious aroma throughout your entire house. This one is especially nice around the holidays although I use it year round. These work so well plus they are just darling! Coordinate ribbon to your decor and they will blend right in. Only 2 ingredients and you are set! It can’t get any simpler than that! 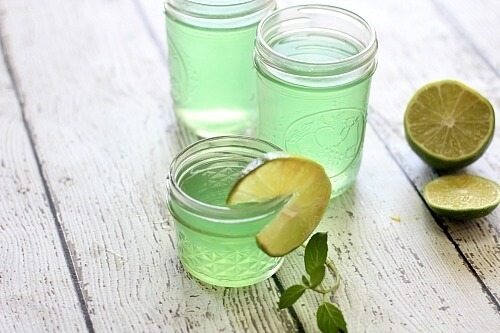 Mason jars are all the rage right now! 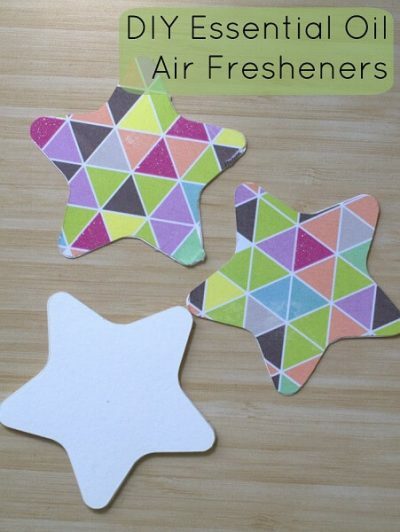 Turn them into air fresheners plus they are portable too! So many options using herbs, fruit and more! This is great for those that like to switch things up frequently. These are so pretty that you might want to put one in every room! 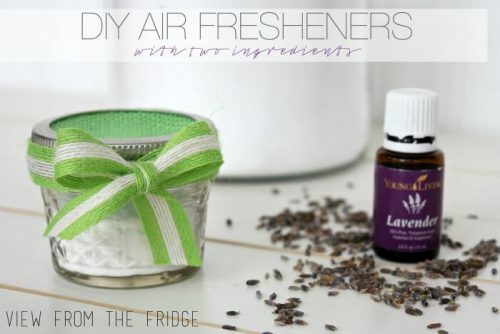 I love using my essential oils to make natural air fresheners. Some moments require the need for an instant spritz of freshness! 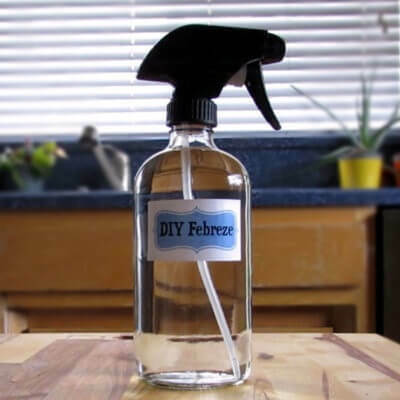 This recipe for DIY Frebreze is perfect if you like febreze but not the price tag or the chemicals. 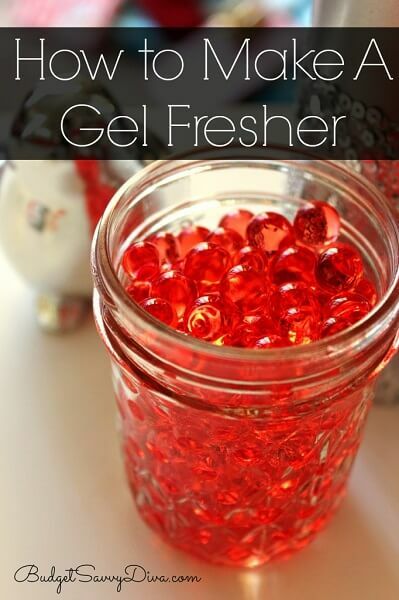 Gel fresheners come with a hefty price tag! 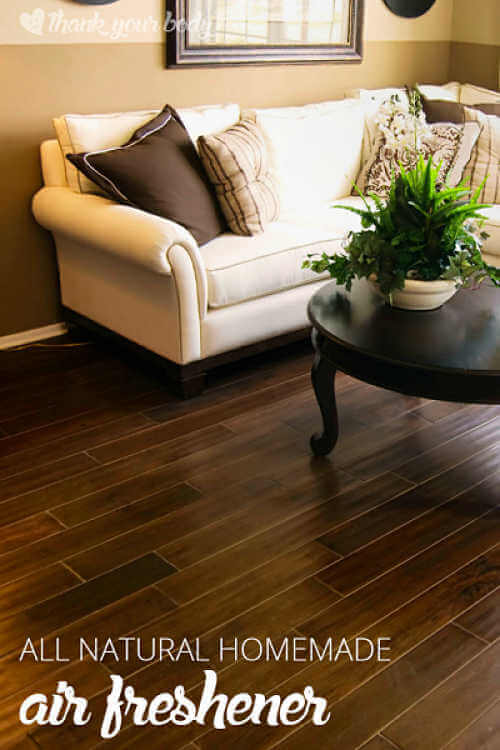 Make your own at home for a fraction of the price. These Coffee filters look so vintage but for very little cost! They look like little decorations. 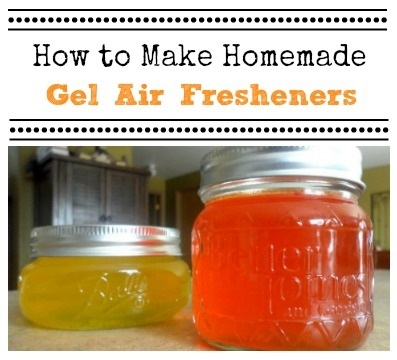 Learn how to make air freshener gels in an array of colors and scents! You can coordinate the colors to your room decor. 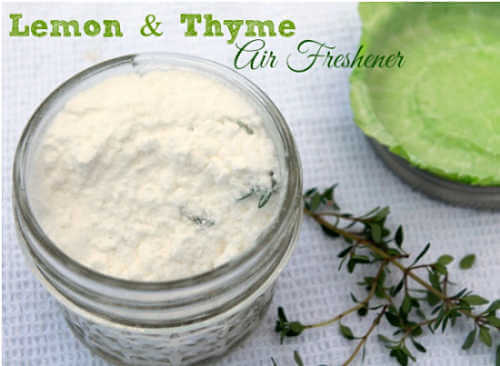 You can make this non toxic air freshener and feel good about what is in your house! No need to worries about chemicals in this! 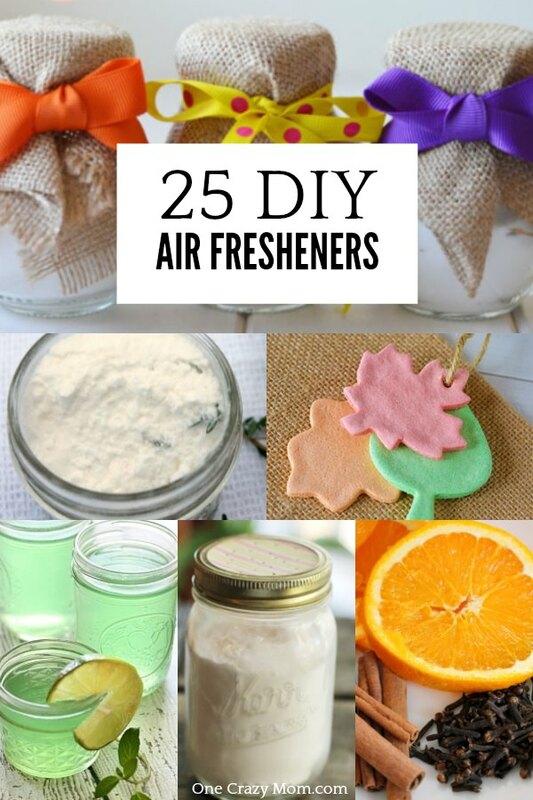 There are so many DIY Air Fresheners available that choosing only one will be difficult! I love the ones that are portable for your car and locker and other small spaces. Plus, the ones for your home sound amazing! I’m definitely going to try the natural air fresheners. Our house is going to smell great! 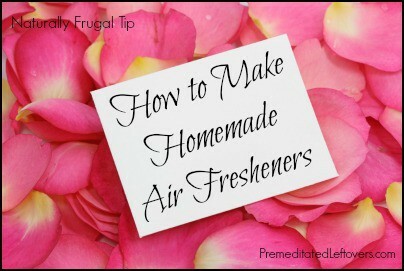 I prefer homemade air freshener for freshening the air as opposed to store bought air fresheners. Natural air fresheners do not have the toxic chemicals that commercial air fresheners have. 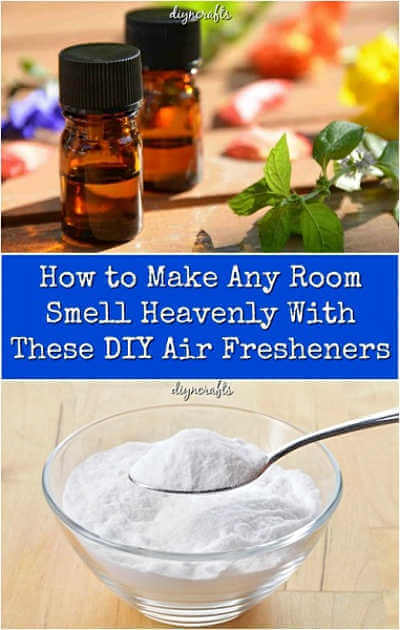 Natural air fresheners can be pricey at a health food store so make your own room sprays for a fraction of the cost. 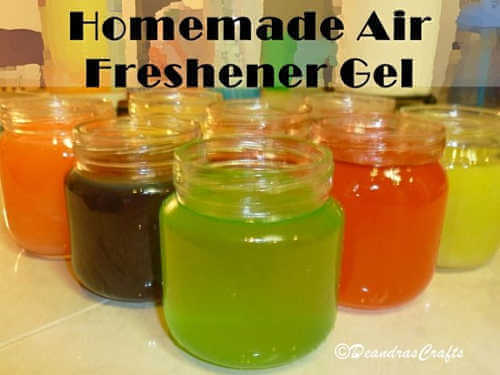 From witch hazel and rubbing alcohol to baking soda, it is very cost effective to make your own air fresheners at home. Add a few drops of vanilla extract or drops of essential oils and your home will be smelling fresh. Many DIY air fresheners can be put in a mason jar for use in the car or spray bottle for an instant boost to improve your home smell. Dried flowers also provide a unique way to make things smell fresh. 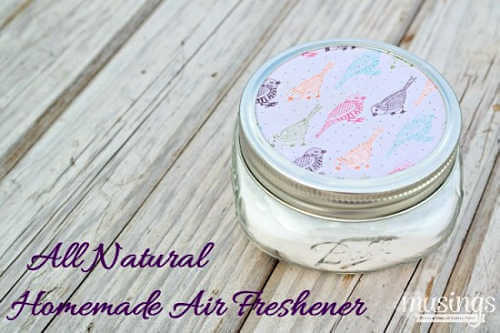 Whether you are looking for DIY air freshener without essential oils or with, homemade vanilla air freshener or lemon….there is something for everyone to choose from. Keep the kids busy with these fun and Easy Thanksgiving Crafts for Toddlers. Most of these fun crafts can be made using items you already have at home! Learn how to make shoe spray for odor. It is simple and easy! This DIY Shoe Deodorizer Spray will take care of any lingering odors in sneakers, cleats and more! A win for us all for sure! There are so many wonderful products to make. We are slowly incorporating more and more natural products into our daily routine. It feels so good to do this. It’s very easy to get overwhelmed with trying to make everything at once. Do not do this! Just make a list of what you would like to make and tackle one product at a time. We did not make all our natural products at one time nor did we convert to all natural products overnight. It took time and in fact, we are still a work in progress! Don’t get frustrated or overwhelmed. If you try to do everything at once, it will be so easy to get frustrated and give up. Take that pressure off your self and just do what you can when you can. Before you know it, you will have a long list of natural products that you have made and now use in your home! 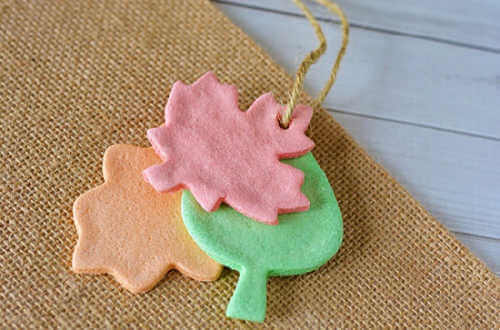 Thank you for featuring CraftCreateCook’s Salt Dough Essential Oil Air Fresheners!